California State University, Long Beach (CSULB) and SunPower Corp. (Nasdaq: SPWR) announced today that construction is underway on a 4.8-megawatt SunPower® Helix™ Carport solar power system at two university parking areas. CSULB will purchase the solar power generated by the system under a power purchase agreement that offers competitive rates, enabling the university to offset approximately 15 percent of campus electrical load with clean, renewable solar power. A 4.8-megawatt SunPower Helix Carport, similar to the one pictured, is now under construction at CSU Long Beach. The university expects it to offset approximately 15 percent of campus electrical load. "With the cost-competitive solar generated by our SunPower® systems, the university will control electricity costs and reduce our carbon footprint, serving our goal to achieve climate neutral operations by 2030," said David Salazar, associate vice president at CSULB. "CSULB is proud to support California and the nation in our transition to clean and renewable energy sources to fight climate change and its negative effects on our students, staff and community by increasing our reliance on solar power. SunPower's experience partnering with universities is as important to us as the proven high performance of its technology." The SunPower Helix platform is the world's first fully-integrated solar solution for commercial customers. Available for installation as a carport, on the roof, or as a ground-mounted technology, Helix is a pre-engineered, modular solution designed to deliver more energy and greater reliability than conventional solar products. The elegant design of the Helix carport can also enhance the aesthetics on campus. 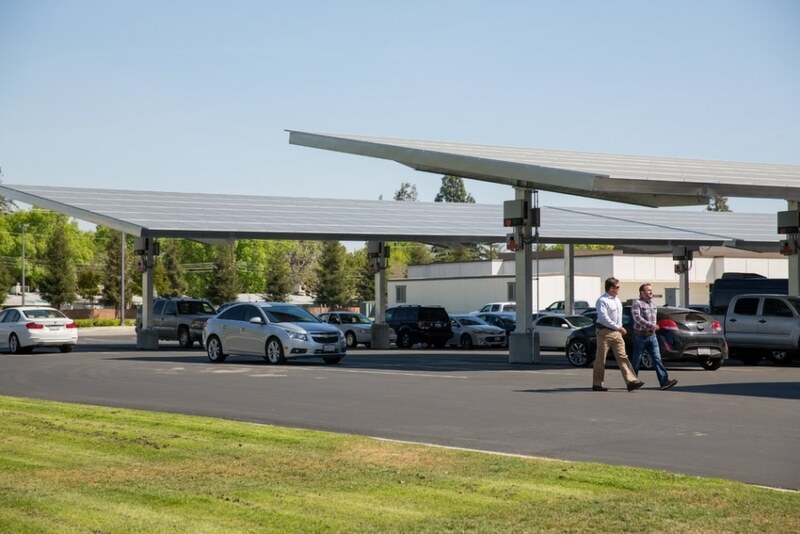 Since launching the product late last year, SunPower has contracted a total of 40 megawatts of Helix Carport to deliver to customers in the commercial and public sectors. "Cal State Long Beach will benefit from SunPower's extensive experience working with universities and colleges to provide innovative solar solutions and significant value," said Howard Wenger, SunPower president, business units. "With the SunPower Helix platform, our customers don't have to choose between energy, reliability or aesthetics because every component of the system is designed to maximize all three. There is no other company in the world offering this level of integration and quality, and we are very proud about the difference it makes to our customers." As part of its commitment to sustainability, the university's Sustainability Task Force oversees a range of activities to reduce campus environmental impact, including energy efficiency, water conservation, sustainable food service, and waste reduction and recycling.